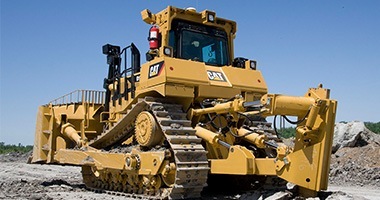 The Caterpillar® brand and the bulldozer share a long, proud history — the Caterpillar Tractor Co. derived its name from the efficient crawling motion exhibited by the early versions of the dozer that were built in the early 20th century. Caterpillar continues to be a trailblazer in bulldozer innovation. Cat® dozers are essential pieces of earthmoving equipment for moving and pushing all types of materials at job sites ranging from construction and mining to forestry and solid waste management. They deliver the legendary performance and reliability that have been Caterpillar hallmarks for nearly a century. All track type tractors are Accugrade ready and can be rented with full GPS technology. Call us today at (317) 803-2526 for more info on dozer rentals. Looking for smaller bulldozer rentals? Visit MacAllister Rentals for small dozers. The Caterpillar-MacAllister Machinery partnership dates back to 1945. Our heavy rental division is your one-stop headquarters in Indiana for a wide assortment of Cat heavy equipment, including medium and large dozer rental units for big jobs. These powerful machines can meet your most daunting job site challenges, enabling you to keep your projects on track. Our expert staff can help you choose the right dozer bulldozer rental unit for your applications and budget. What Can You Expect With a Large or Medium Dozer Rental From MacAllister Machinery? Our extensive rental fleet consists of impeccably maintained late-model, low-hour units (and possibly some older machines) that are ready for fast delivery to your job site. We’ll also work with you to develop a flexible rental agreement that meets your use and budget requirements, whether you need a dozer for a day, week, month or longer. And you’ll never have to worry about keeping your bulldozer rental on the job. Our services include prompt field repairs by experienced technicians who will do whatever it takes to minimize unproductive equipment downtime. We even offer rental purchase options if you’re exploring the possibility of dozer ownership at some point. 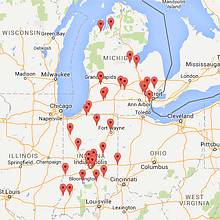 You will find MacAllister Machinery stores throughout Indiana that are ready to provide you with a large or medium dozer rental whenever and wherever you can use a top-quality earth moving machine. Every location will provide the attentive service and support that have been staples of our company for more than 70 years. We invite you to browse the current dozer selection found in our heavy rental product guide. Give us a call or contact us online for additional product and pricing information.